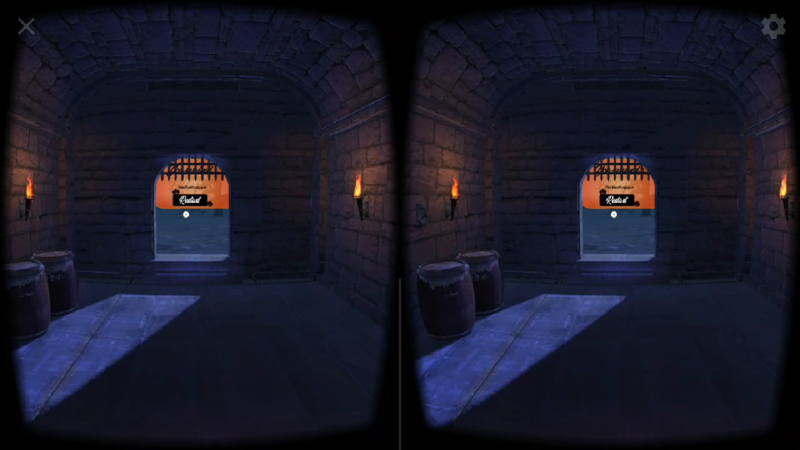 about a VR Minigame project for Google Cardboard. 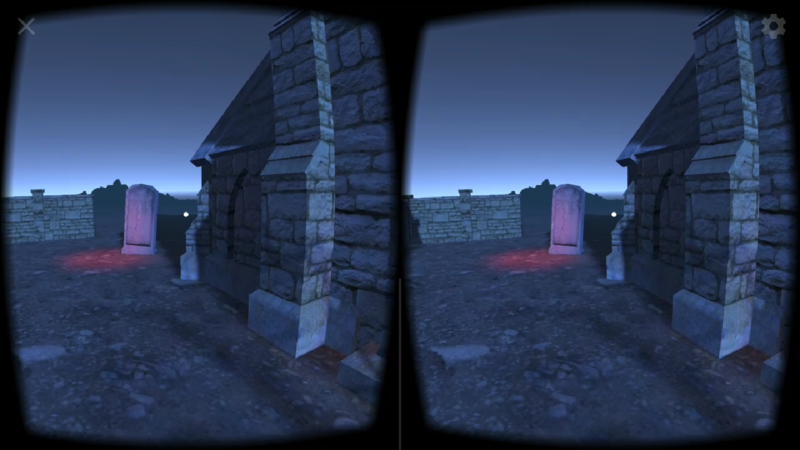 I developed this project as a part of my coursework in the online course „VR Developer“. 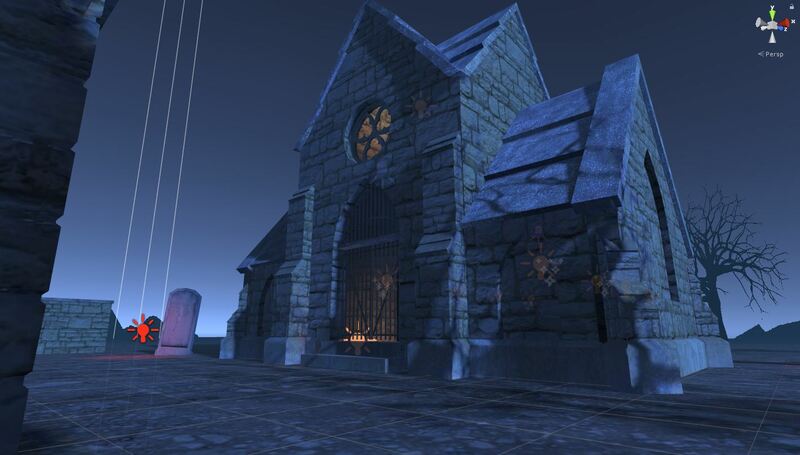 The game challenges new VR users to solve a familiar type of puzzle in a new way and let them dive into a spooky and mystical Halloween night atmosphere on an old graveyard. 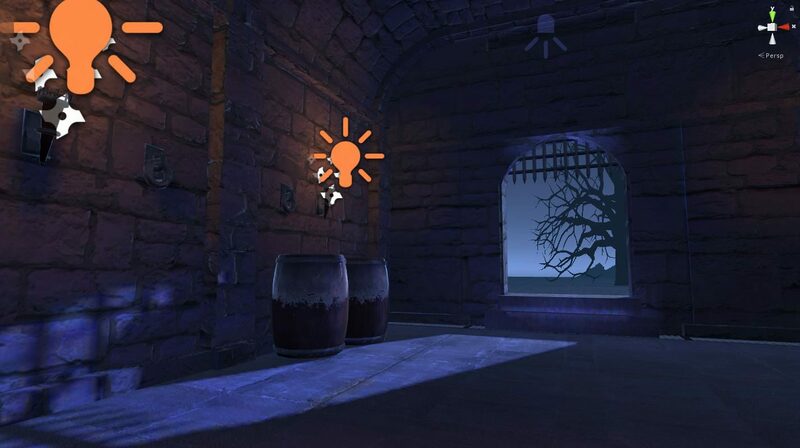 My intension as a 3D Artist was to design an interesting environment for the users and invite them to look around and explore everything. I attached importance not to make the users feel uncomfortable or get very scared whithin this experience. It should be fun to be in this place and only just a little scary. 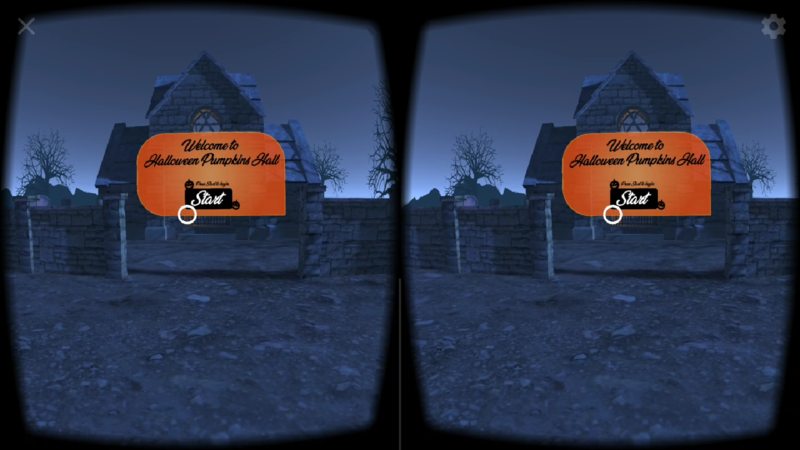 After the idea was born I modified the course project into a special Halloween Pumpkins Hall. 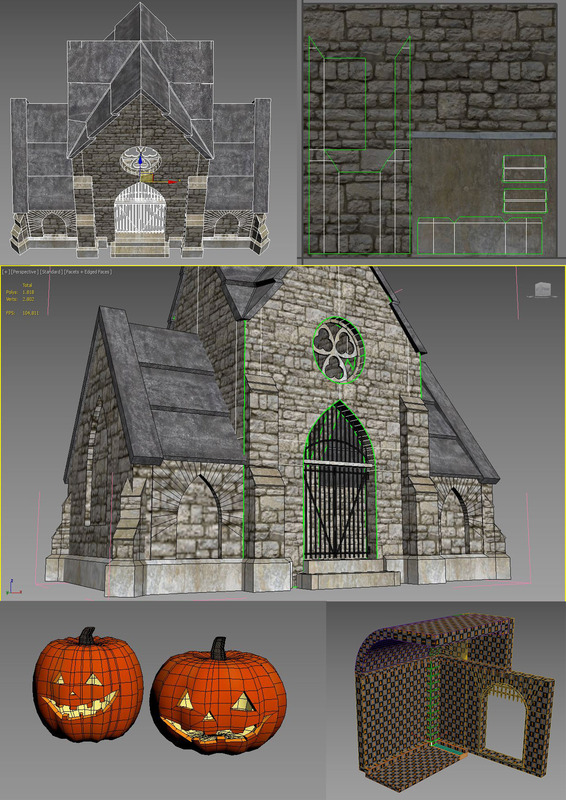 I modeled an additional mausoleum front building, new walls for the interior scene and some pumpkins in 3Ds Max. The unwrapped models were textured in Photoshop. 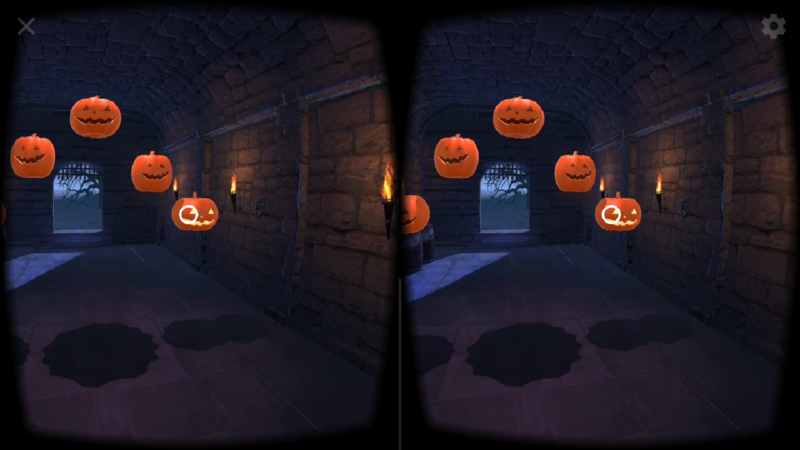 For the Halloween UI I made the graphics in Adobe Illustrator and imported the .pngs into Unity 3D. I used Unity 2017.3.1f1, GoogleVR SDK (GoogleVRForUnity_1.130.1 ) and iTweens 2.0.9. and I build for Android on a Samsung Galaxy S7. 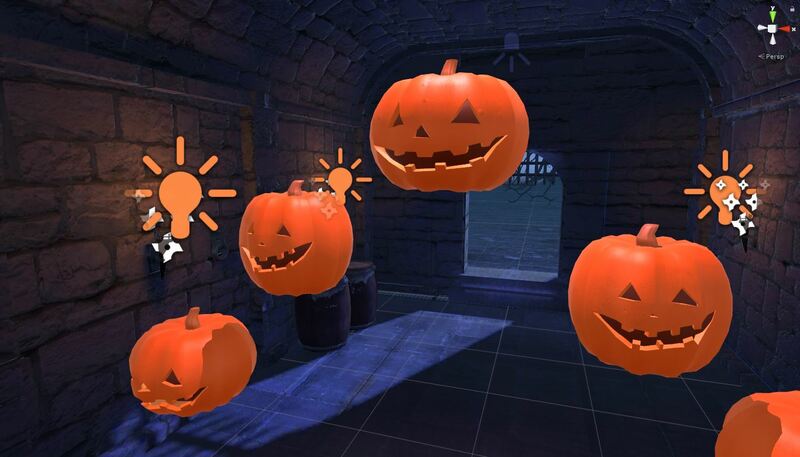 „Halloween Pumpkins Hall“ is a mobile VR application for new VR users which challenges them to solve a familiar type of puzzle in a modern way. 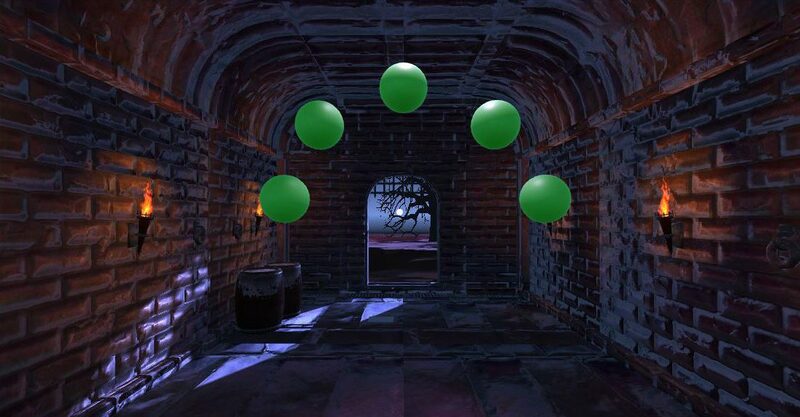 The challenge for the player is to memorize a sequence of lighting up pumpkins and to repeat this pattern in the same order – to win the game. Occupation: Doesn‘t matter… I guess. A quote: Stay curious and have some fun! 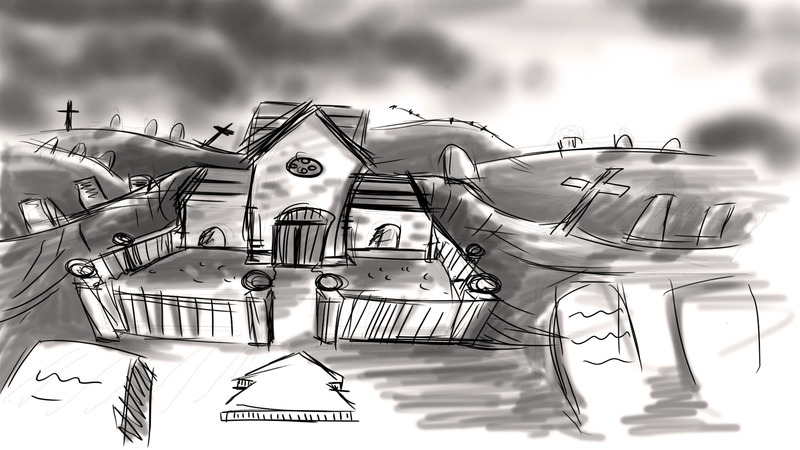 My first quick concept scribble: An old windy graveyard environment. 1. 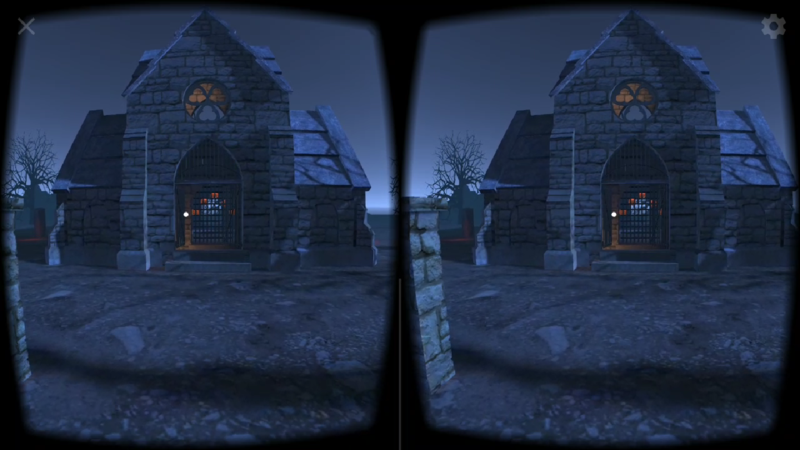 How big are you in this VR experience? – Like in real life. The room is approximately 2,80m high. 2. Discribe the atmosphere of the environment. mystical somehow but I don‘t want to stay here for longer. 3. Is there anything, you would like to look at? But is is difficult to see? 1. Can you see a panel? – Yes, I see a kind of board in front of me, about 1m high and 2m wide. – It‘s good readable. A welcome screen with a button. 2. What would you think happends, if you click on the button? – Something will start then. Maybe I can go inside. 1. What happens, when you click the button? – I start moving into the building. – In the begining I thought I felt dizzy, but just for a short moment. Then everything was fine. The movement is very flowing. 1. Do you know how to play the game? Do you know how to leave the hall? 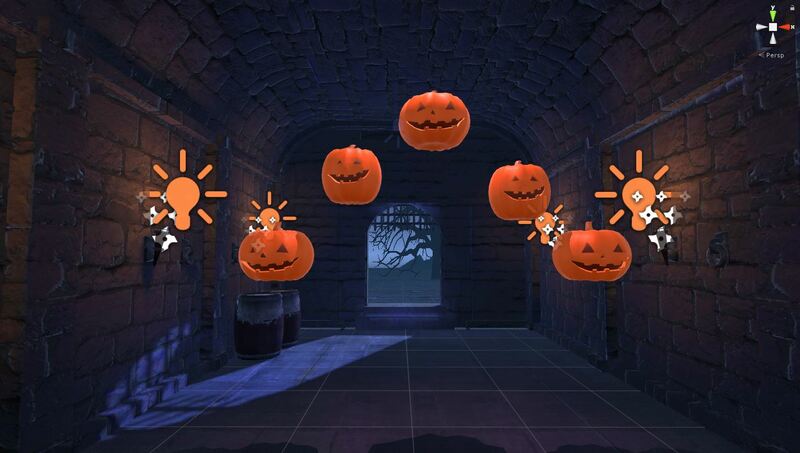 Some users didn‘t know what the pumpkins stand for and they didn’t know how to leave the hall. They needed a hand or asked for an additional screen with informations about the game play. – A help book on one of the wine barrels. It was a very nice project and I loved to work on it, especially after I had decided to do the Halloween look. Challenging was the lighting situation. I tried out a lot of different ways with realtime and baked lights and GI. In the end I had one direct light which was realtime and all the other things were baked. The scripting was challenging too, because I wanted to have some additional animations to be controlled. There came a lot of ideas into my mind while I was working on this project. I’ve learned very much! 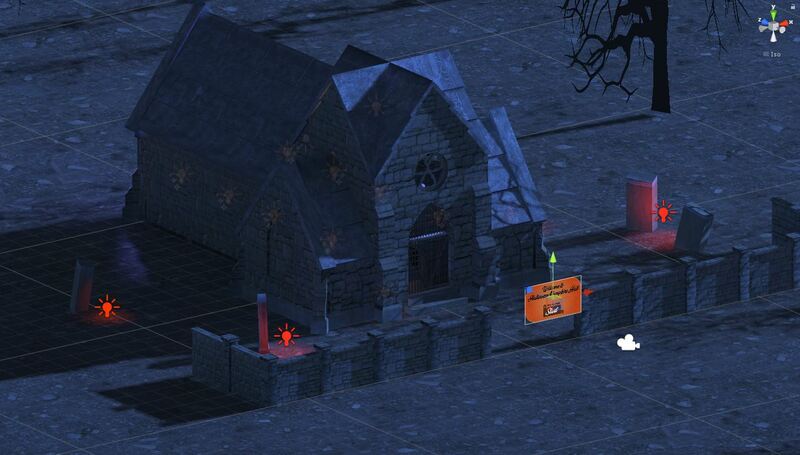 Maybe I will work on a „Halloween Pumkins Hall 2.0“ to implement a few changes in the game mechanic, I’ll see what can be done. But now, I can‘t wait to focus on my next VR experience! This will be fun. Have a nice day and thanks for reading!